Call 1.888.ROC.BAND (888.762.2263) or click on the REGISTER NOW button on any of the camp pages under Upcoming Events. 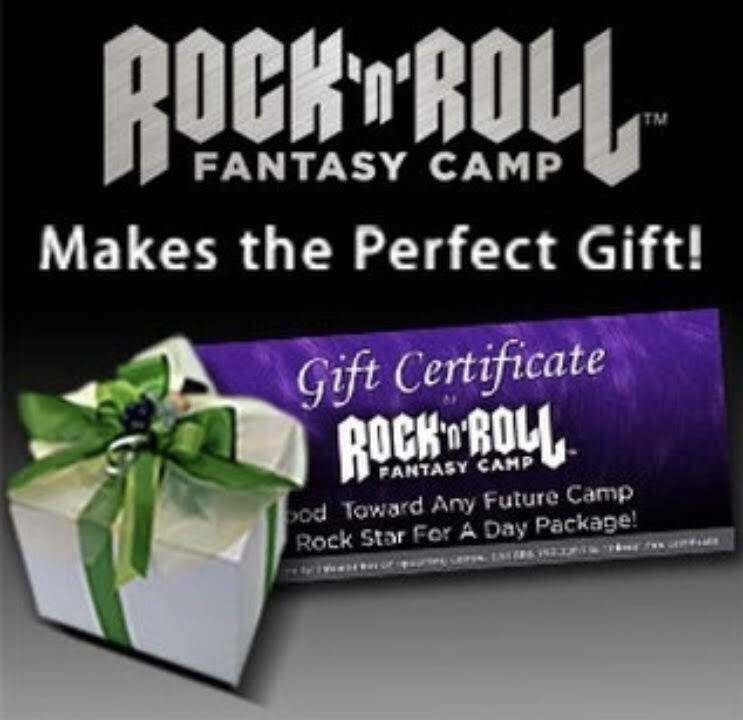 Rock and Roll Fantasy camp is a fully interactive, participatory camp with a non-competitive atmosphere. There's no audition here! Whatever your instrument---be it voice, guitar, bass, keyboards, drums, etc!---we will make sure you can make a meaningful contribution. These master musicians won't simply coordinate your band, they'll inspire you in a series of intimate master classes on your instrument, stage presence, and everything rock and roll, along with tales from the road and our newest class, THE ROUNDTABLE, where you can bring YOUR original song to work on with our incredibly talented and skilled rock star counselors. 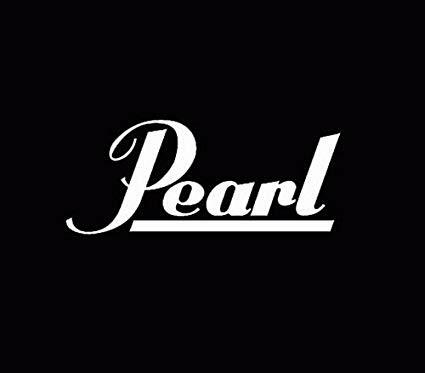 You will prepare for your jam session with our incredible headliners as well as your two live performances, including your show at the Whisky A Go Go. They'll be Q&A's with our headliner and rock star counselors, parties, catering, your road crew and so much more! What skill level do I need to be to attend camp? 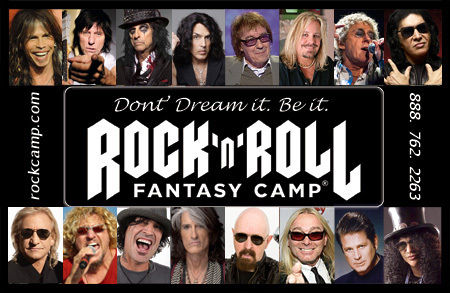 Rock and Roll Fantasy Camp is a non-competitive environment and open to ALL SKILL LEVELS. Whether you are a beginner or an expert or something in between, we have a band for you! The camp fee includes an opening night party, lunches and dinners, studio time, backline equipment, evening activities, a link to a video of your final night's performance, transportation to and from all camp events, a full production crew, a designated band manager, camp credentials, and a RRFC swag bag. SIGN UP NOW FOR THE SPECIAL EARLY RATE OF JUST $4999.00-early registration ends APRIL 10th. THIS COULD BE YOU! 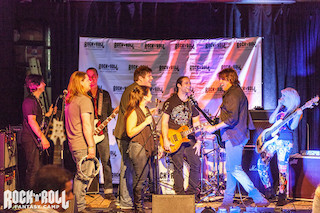 ON STAGE WITH JERRY CANTRELL,MIKE INEZ AND ROBERT AND DEAN DELEO! Don't miss out on this incredible opportunity! Spots are going quickly! Just started playing and instrument or always wanted to learn to play? Our ROCK STAR 101 package will have you making rock and roll history in no time! All skill levels are respected and welcome! Learn & grow in ways you never thought possible! Don't miss our Las Vegas camp this summer! Joe Perry of Aerosmith, Lou Gramm of Foreigner and Vince Neil of Motley Crue...all at one camp...for one incredible music experience! Jam some of your favorite Aerosmith songs such as Walk This Way, Dream On or Love in an Elevator with Joe Perry, and rock out to Girls, Girls, Girls, Dr. Feelgood or Shout at the Devil with Vince Neil and perform alongside Lou Gramm on I Want to Know What Love Is, Juke Box Hero or Urgent at the private Rock and Roll Fantasy Camp plus PERFORM LIVE WITH LOU GRAMM AT VINYL in the HARD ROCK HOTEL! 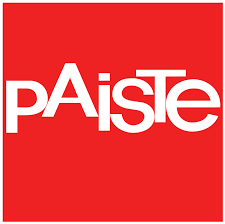 *Discounts or promotions may not be used with prior purchase. Known as the "Fretless Monster", Tony Franklin has played alongside some of the greatest names in music history. 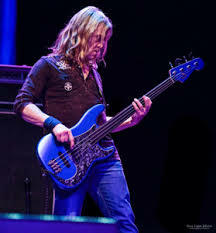 He got his big break in 1984 as bassist in stellar supergroup The Firm, with guitar legend Jimmy Page, vocalist Paul Rodgers and drummer Chris Slade (AC/DC, Manfred Mann's Earth Band). Franklin's signature fretless growl was a distinctive and instantly recognizable element of the band's first hit, Radioactive. 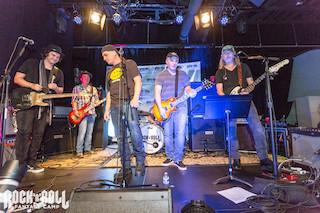 After two hit albums and extensive touring with The Firm, Franklin subsequently performed with Blue Murder (John Sykes, Carmine Appice), David Gilmour, Kate Bush, Whitesnake, Roy Harper, Pat Travers, Tony McAlpine, Gary Hoey, Donna Lewis, Kenny Wayne Shepherd, Vasco Rossi, Eros Ramazzotti and many others. 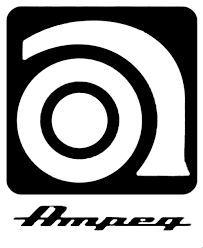 An in-demand session bass ace, he has appeared on more than 150 albums. Franklin has released two solo albums, and a bass instructional DVD. "Meeting Jerry and Mike is literally one of the greatest thrills of my life. Living in little old Edmonton, Alberta, Canada it's not every day I get to meet my musical heroes and being able to meet Jerry and Mike - who have been on posters on my wall since I was 15 years old and whose music is still a huge part of me - was a high point in my life for sure! I was struck at how nice they were, and the time each were willing to take to just even have a quick conversation with each of the campers on stage as I know it must have been a long day for them. It's been a week since that day and I'm still kind of buzzing about it, and it will be a memory I really treasure forever. 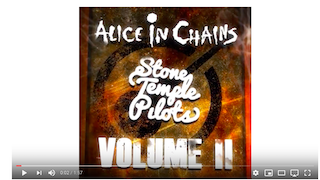 I also will continue to look forward to Alice in Chains' new music to come and hope they never stop doing what they do - Alice has been like a soundtrack for my life!" A musician told me he was going to hit me with the neck of his guitar.